FARMINGTON — Moriah Reusch, an eighth grade student at Mt. Blue Middle School (MBMS), was the champion speller at the Franklin County Spelling Bee held Feb. 5 at the Forum on the Mt. Blue Campus. Bee governor and MBMS principal James Black introduced the judges, the 14 partipating students from seven area schools and Bee Master Felecia Pease, retired principal Strong Elementary School. 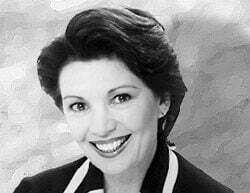 “You are encouraged to say the word before you spell it, say the word at the end. You can’t change the letters once you start spelling a word,” Pease told the contestants. 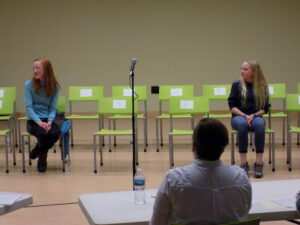 Pease said, at the end of each round students who had misspelled a word would leave and sit in the audience. The rules change at the end and nobody re-spells someone else’s word. Two practice rounds were held first. Some words in those rounds were calculus, guava, suffocate, cliques, damask, Jacuzzi, rivulets, gangrene, haberdasheries, eclair and catacombs. In the first round that counted, reprimand, gaiters, valise, offal, emaciated, Piedmont, trenchant, consonants, portentously and attenuated were incorrectly spelled. From MBMS student Abby Hatch spelled inertia, Meadow Kerbo spelled impregnable and Moriah Reusch spelled vocational correctly. Jimmy Hathaway, Rangeley Lakes Regional School, also moved on to the next round after accurately spelling muttonchops. In the second round, Meadow wasn’t able to spell cyanide and Jimmy missed sachet. Abby knew redundancy while Moriah got recompense correct to move on to the next round. 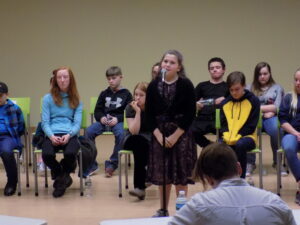 Both girls missed their word in rounds four and five but were able to spell correctly in the fifth round. In the sixth round Abby missed rapacious while Moriah spelled affidavit. Moriah then spelled canapes to be declared the champion. 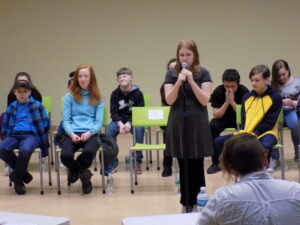 She will represent her school and the county at the State Spelling Bee March 23 at the University of Southern Maine. Abby said her teacher had given her the list of words. She practiced them on and off. “When I felt I needed to practice, I did,” she said. Moriah practiced a little bit over the last few weeks, then looked at the words just before coming to the bee. “My twin sister will help me practice,” she said. Students from Spruce Mountain Middle School and elementary schools in Kingfield, Phillips, Stratton and Strong also participated. The judges were Shirley Schrader, Rangeley Lakes Regional School, Katie Wuori, Stratton School: Maggie Adams, Kingfield Elementary School, Kat Zachary, MBMS and Denise Acritelli, SMMS.